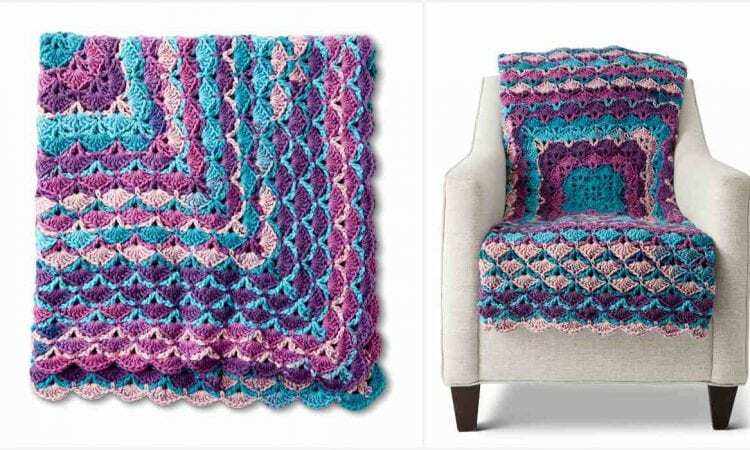 You will love this shell stitch blanket. It is easy to make and looks amazing especially with this beautiful yarn. You can use this pattern as a baby blanket as well. Don’t forget to share your work in our Facebook Group. The link to the pattern is below. Enjoy! From the Middle Blanket – visit the free pattern site.